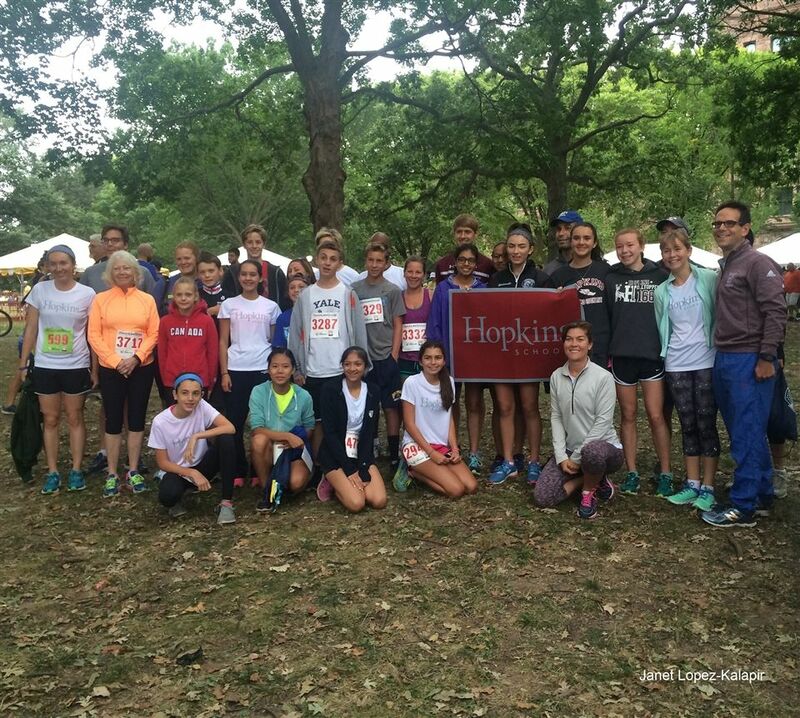 Students, teachers, and parents pose for a picture outside the Hop tent before the 2016 New Haven Road Race. The student, faculty, and staff participation in the event has increased each year. “The Final Countdown” blasts as runners sprint into their last mile of the New Haven Road Race. The crowds are packed with cheering supporters who crowd the sides of the road. Most importantly for the exhausted runners, lots of free food awaits at the fnish line. “Last year, Jonah Norwitt and I spent an hour walking around all the tents, getting goodies and food such as frozen yogurt,” said Nic Burtson ’20. The majority of the Hopkins Cross Country team does the Road Race every year.